When Food Meets Action then Live Action Living Begins! No if and’s or maybes..Please take me to Blue Daisy!! … we will sell at public outcry to the highest bidder the Pacific Ocean draped with western sky of scarlet and gold; we will sell a bay filled with white winged ships; we will sell a southern horizon, rimmed with a choice of purple mountains carved in castles and turrets and domes; a frostless, bracing, warm yet languid air braided in and out with sunshine and odored with breath of flowers. Holiday weekends make great for loving memories with the family! Whether it’s Christmas, Thanksgiving or even the grateful tribute day to our troops for Memorial Day. What makes these weekends even better is when you combine a birthday celebration! Let’s talk about my Labor Day/Birthday weekend extravaganza in Santa Monica,Ca at a new found love called Blue Daisy..
One of my favorite dining picks..over at Rustic!! The town of Geyserville retains the ambiance of a bygone era. Located in the beautiful Alexander Valley, the town owes its name and beginnings to the discovery of geothermal springs in the Mayacamas Mountains just east of town. The area became a tourist attraction, with the town providing lodgings and provisions for the tourists. Cattle, grain, pears, and prunes thrived in the lush valley and the area’s rich, gravelly soil proved an ideal location for wine grapes. The wine boom of the 1970s led to vineyards replacing the fruit orchards, and today the valley is a verdant sea of vines. Lamb, Steak, Wine of course! Wine country is a great place to visit,when you want to see exquisite gardens of vines, while sipping on the finest wines. About an hour from the Bay Area, you can make your trip to Napa or Sonoma county and begin your decadent experience to a land of beauty and relaxation. Not only can you find magnificent wine to taste, but also breathtaking meals to pair with it. While visiting the Francis Ford Coppola Winery, I found a hidden gem, where I officially dined on the best lamb I have ever had!! I won the sugar battle! !Jesus healed my diabetes.. No name bigger than His!! It wasn’t that long ago April 18th, 2018 that I wrote to you guys and let you know that the doctors said that I have Type II Diabetes. It started from that alarming 4am call by the nurse to go to the ER because my Glucose levels were through the roof at over 600 ml. By the time I reached the hospital, my blood levels had dropped to 300 ml, but they were certain I had diabetes and that long term I would have to be on medication and possibly even have to take insulin. Today, I am here to tell you that I am no longer taking medication. My blood levels are in normal range under 100 ml after fasting and after eating around 120-130ml. I will use this platform to tell you what I did myself, but honestly this is nothing short of a Miracle and all tribute I give is to Jesus Christ Himself. Thank you Lord!! Now let’s get to business and discuss what changes I made and how you can make these changes to help you improve your life. Today I found out some news..
News that is concerning that so many around the world have heard at some point in time. I want to tell you my story and how to accept this new fight with confidence and faith. Let’s get the story started.. They just made my wish..Dining at Tin Fish! Southern California is one of the most beautiful places on earth. You have Hollywood, the wonderful beaches of San Diego, the Gas Lamp district and one the best places for fish tacos I have ever had. The Destination for Romance..Over at Sundance! 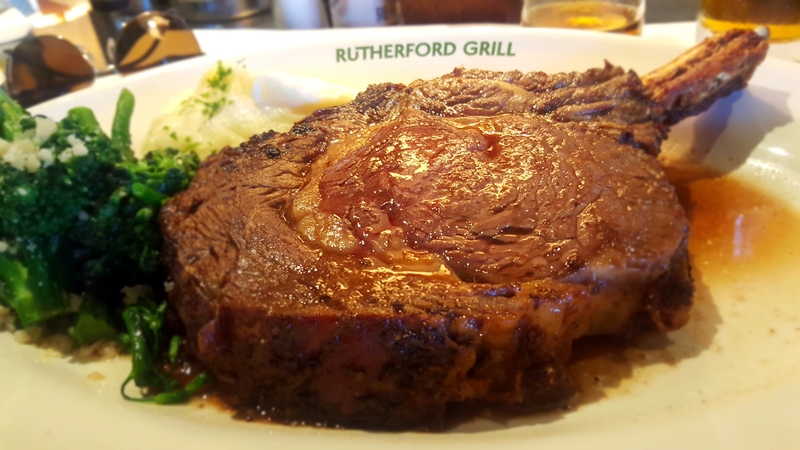 Our modern steakhouse has two direct ancestors, the beefsteak banquet and the chophouse. Both arose, interestingly enough, in mid-19th century New York City, a town that got the best beef cuts the country had to offer because only there did diners have enough money to pay for them. Beefsteak banquets were primarily men-only political affairs, held as candidate fundraisers or to celebrate a recent victory. They got their name from what was served: sliced beef tenderloin, each piece placed upon a slice of white bread like an open faced sandwich. The bread slices, however, were rarely eaten and were mainly stacked besides each plate as an informal scorekeeping system for how much beef was consumed by the participants. No self-respecting gourmand wanted to fill up on bread when there was so much beef and beer available! Birthday celebrations always make my day. Or simply seeing the gratefulness of having a companion there with them to cling glasses of luscious red wine together. Tonight we celebrate my wife’s birthday over steak and wine within an extravagant setting and memorable cuisine! 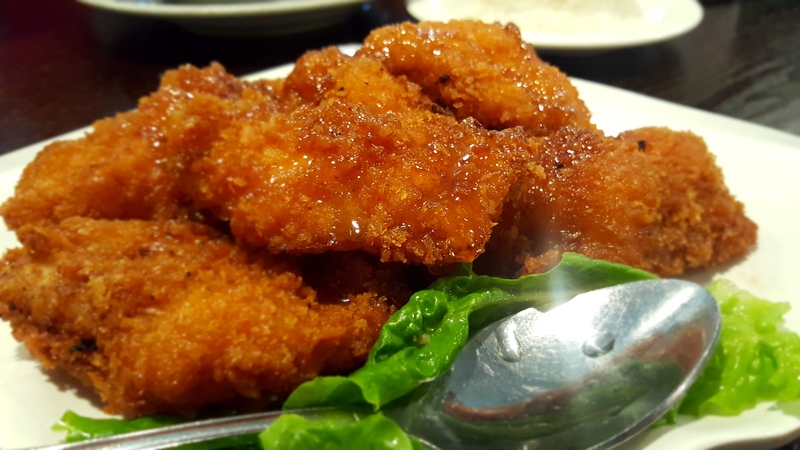 This Crispy Fish brings tears to my eye..over at Sala Thai! 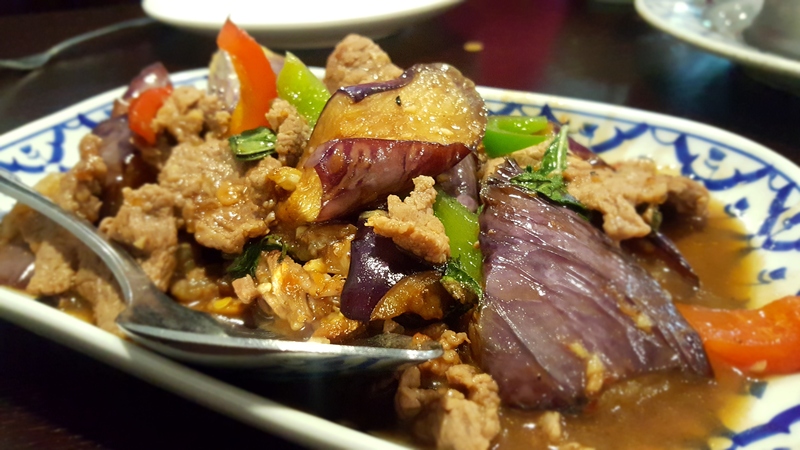 Thai cuisine is a simple yet clever combination of Eastern and Western influences harmoniously combined into that je ne sais quoi. Sour, sweet, salty, bitter and spicy flavours work together to make each dish come alive. Thai food varies depending upon the area or region of Thailand the dish originates from. These regions include the north, northeast, south and central. Historically, aquatic animals, plant and herbs were popular ingredients included in most meals. Large quantities of meat were mainly avoided, thanks in part to the Buddhist background, and instead strips of meat were flavoured with herbs and spices, or meat was cooked or roasted and then shredded. From the delicious coconut soup, to the outrageous flavor punching power each dish contains; Thai food is satisfying regardless of the time of year. When I want to dine at the cream of the crop, I go to Sala Thai.. So I’m sitting at home and my spidey senses are tingling wanted some action on my tongue and in my belly. Me: Shaking my leg.. Nah..
Me: Eyes slightly opened with a tad of excitement… Uhhh.. No.. Her: I know.. Thai Food!! Me: Jumping out of my chair… Yes! Yeeees!! Let’s go!! Throwing my jacket on immediately we both race to the car. We jump in and pedal to the medal,we swerve side to side through lanes of traffic to get to Sala Thai. We make it before the crowd shows up and miraculously get seated within 15 minutes. 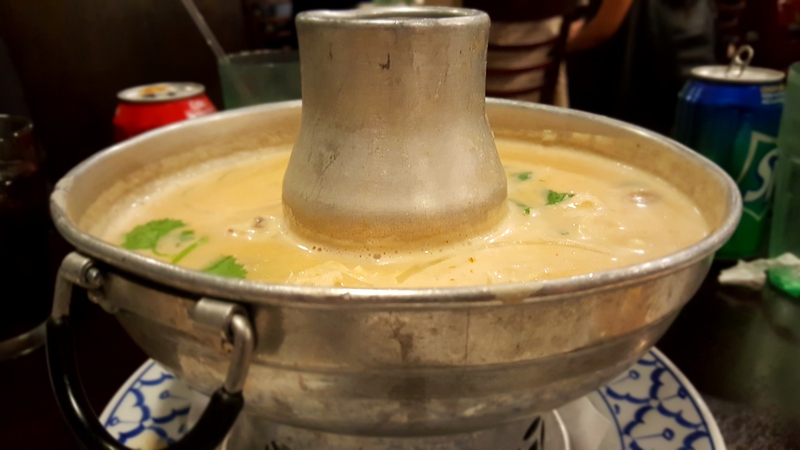 We throw in our orders immediately and get the Tom Kha soup, which is a delicious soup made up of a Coconut base, spicy and sour soup with onion and mushroom. 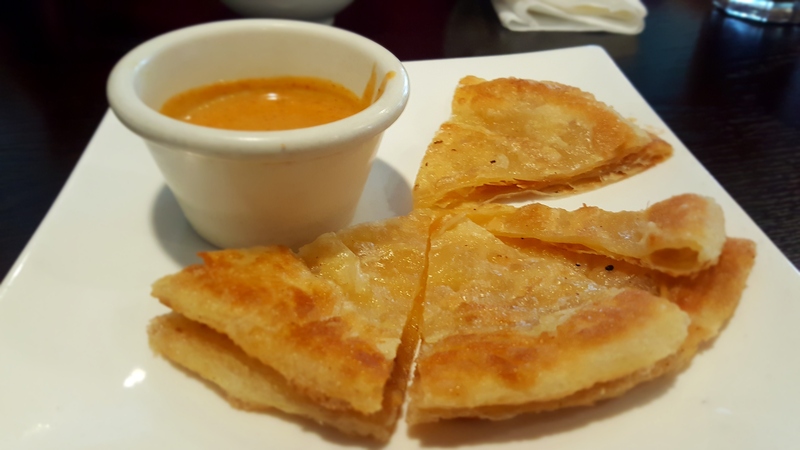 We also order the Roti Canai, which is a flaky crusty thin sort of pancake with this amazing curry dip that will blow your socks off. And not to forget the crab fried rice to shock the palette..
For the main courses we order the crispy fish with sweet garlic sauce and beef eggplant with bell pepper, and basil in black bean, and chili garlic sauce. We dive in to the Roti first while our soup is being poured into our bowls.. I stretch a piece of the Roti, rip then dip in the curry and into my mouth. Perfect light crunch with all kinds of succulent flavor from the curry. Thick but soothing coconut flavor punching me in the face! Combined with the suttleness of the chicken, ginger and lemon grass; it will make your day! Now the main dishes arrive.. I can feel the drool growing like a balloon in my cheeks. I grab some crab fried rice with a bit of the beef eggplant and a few piece of the garlic sauce fried fish on my plate. The fish is calling me. Let’s go! Instant crunch with super duper flavor in your palette. Officially the best fried fish I’ve had! Next up I dive into the egg plant..
Firm but soft texture, heat searing within.. Massive flavor doing the running man on my tongue..Yum! 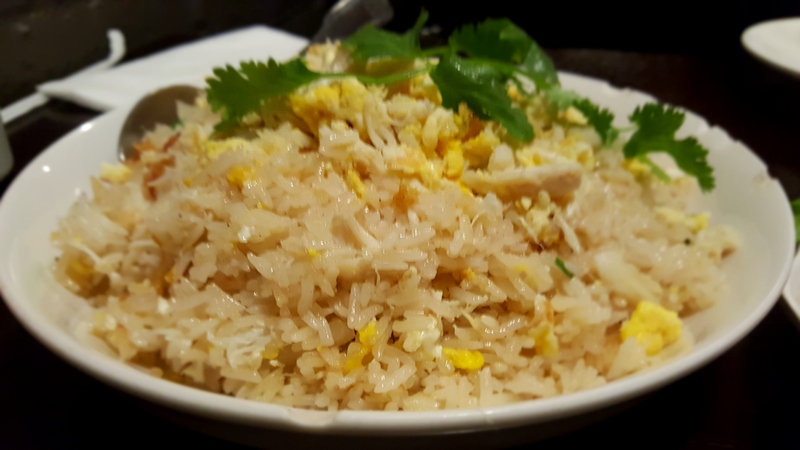 A bite of the fried rice.. Nothing but live action eating! Good job Sala Thai! Thanks for joining me on today’s adventure! I look forward to seeing you on the next run! Keep hope alive! Eating is an enjoyable way of life. Live it..Learn it..Love it! Fierce Flavor that will Pierce your Tongue..over at 1621! Fusion Cuisine is actually not new. It has been around for a couple of decades. Chefs started to merge cuisines around the ’70s. Culinary legends like Wolfgang Puck among others introduced this concept. He actually laid down the foundation for this technique. He is the brains behind the common culinary fusions and pairings. An example of which is the fusion of European cuisine with Asian cuisine, commonly referred to as Eurasian cuisine. This was easy for Chef Puck because of his knowledge of both cuisines. He was originally trained in Europe, but he is thoroughly familiar with the Asian dishes. Eurasian basically combines two cooking techniques and dishes, so you can end up with poached tofu, for example, which generally mixes European and Asian method of poaching. Some say Hawaii is like Heaven on Earth.. Most people take frequent vacations there and love to talk about the great views, beaches and cultural food. You heard of Hawaiian fusion? Well if you haven’t, I know the spot..
Oh my Word..I’m eating at Rutherford! The roots of Rutherford—the historic grape growing center of the Napa Valley—actually stretch south of its central location in Napa Valley to Yountville, where George Yount settled in1838. Yount, an explorer and pioneer, was granted 11,814 acres by Mexican General Mariano G. Vallejo as repayment for a variety of services. This land was called “Caymus Rancho,” and extended north from the western foothills of Mt. St. John to what is now the intersection of Zinfandel Lane and Silverado Trail. Yount had three granddaughters. Elizabeth married young Thomas Rutherford in 1864. As a wedding present, the newlyweds received 1,040 acres at the northern end of Yount’s land grant. Napa Valley.. Home of the grapes!! Not just the world’s fantasy villa of grapes, but home to some of the finest dining around to pair up with those exquisite wines. Last time I was out in Napa enjoying the view of a grape vineyard, while sipping on some aged Pinot Noir; we stopped in Rutherford,Ca and found the golden goose of restaurants. Food so tasty it will make your head spin! On a soul food mission..over at South City Kitchen!! Soul Food is a term used for an ethnic cuisine, food traditionally prepared and eaten by African Americans of the Southern United States. 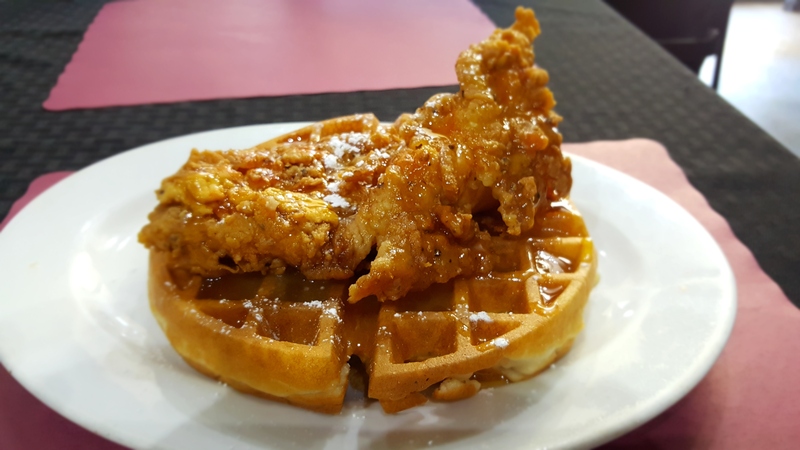 Many of the various dishes and ingredients included in “soul food” are also regional meals and comprise a part of other Southern US cooking, as well. The style of cooking originated during American slavery. African slaves were given only the “leftover” and “undesirable” cuts of meat from their masters (while the white slave owners got the meatiest cuts of ham, roasts, etc.). Atlanta,GA is a beautiful area with southern hospitality, civil rights history and of course; great tasting food! As I’m here in Atlanta to attend a funeral for my dear Auntie..
We decided to make a move to one of the hot spots in Atlanta called South City Kitchen. 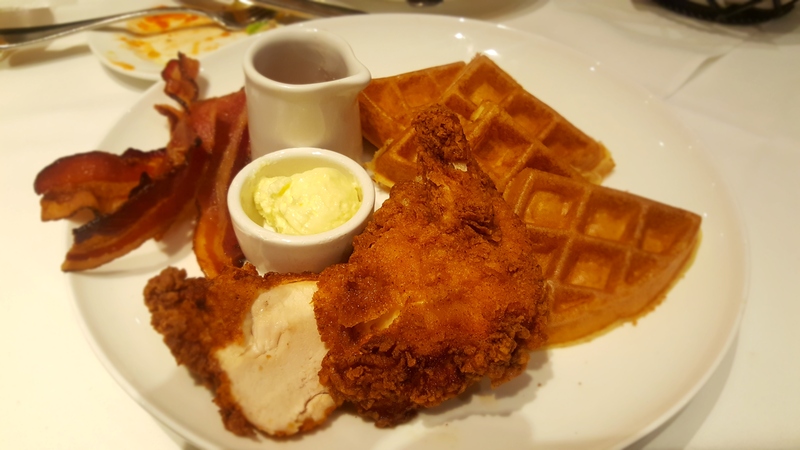 Follow Blog via Email and begin to eat in live action! Enter your email address to follow this blog and receive live action notifications of new posts by email.